Classy Cotons, in Paradise, Nevada is on a one-half acre property with plenty of space for pups to roam and play. We are Nevada’s only COE Coton De Tulear breeder and adhere to the United Kennel Club and North American Coton Association’s Breeders Code of Ethics. We strive to develop healthy, quality puppies, so parents' joints, eyes, and DNA are tested. We select parents who are 100% unaffected by 165 genetic diseases, including six that commonly affect Coton De Tulear dogs. Aside from healthy, our puppies are loyal, affectionate, intuitive, adaptable, and hypoallergenic. We offer stud service and participate in rescues. Our dogs are family and they live in our home with us, even sleeping alongside the bed. 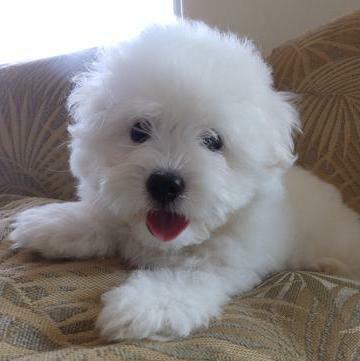 We enjoy the Coton De Tulear and have a passion for sharing with others. We’d love for you to be a part of our extended family and hope to connect with you when you’re ready for a puppy to join your home.